If you are looking for a newer vehicle, you will see that the summer months make for an excellent time to hit your local car dealer in Marysville to see what you can get for a good deal. The next year models are appearing at the showrooms for the major dealerships, so this is a nice time to find a used car with a dealership that you trust. When you shop around during the summer for a cool deal, you have the ability to avoid running into the fall rush and all of the competition for people trying to find a good vehicle. There are some dealerships that may even offer some of their best deals during the summer months, which means that you can enjoy incredible savings. While looking for a new-to-you vehicle, the decision will depend on the amount of money that you can afford and what type of ride will give you the most satisfaction. If you are not looking for a monthly payment, it is going to be best that you work with a dealership that offers you the ability to own your vehicle outright. At Half Price Cars, we not only have the inventory that you are looking for but we also have lower prices that allow you to own your vehicle without having the burden of big payments to worry about each month. Shopping through our selection at Half Price Cars, you will have a wealth of vehicles to choose from. Whether you want to have a fun-to-drive summertime option for heading out with friends or you need a dependable SUV for your growing family, we can help you to find the right option that fits within your budget. If you have certain safety features or special equipment that you are after, we can talk with you about all of the different options that we have in stock to help you get exactly what you are looking for. Are you ready to cool down with a hot summer deal? Visit your local car dealer in Marysville or call us today at Half Price Cars at (425) 361-4466 for inventory information! It goes without saying that the summer months make for prime road trip traveling. If you are thinking that you want to get out to explore and make memories with friends or family, you can take a look at some of the available used cars in Edmonds to get you where you want to go. The good news is that there are plenty of options and as long as you take the time to research each one, you should have the ability to settle on the perfect vehicle at a price you can afford. When you think about it, a road trip is a nice way to spend a little bit of time away from home. You can make plans to take a certain route or see where the roads take you. This is time to get out and explore so that you can enjoy the journey as well as the destination that you have planned. Such a trip will allow you to be flexible enough to change your mind so that you can make it to your next destination and let the memory-making commence. All you need is to have a good vehicle that you can count on that will also not break the bank. Looking through your options in used cars in Edmonds will allow you to find the right ride at the right price. If it is just you or you and a friend, you may want to think about going with a compact car. For a family trip, think about looking for a used crossover SUV or a minivan. It is all about having enough room for passengers and gear while having the features and safety technology that you need. Our staff at Half Price Cars will be able to show you all of the options that we have in our inventory that match up with your road trip needs. All you have to do is let us know some of the features you are hoping for and we can have you take a few models for a test drive. We make it possible for you to own your vehicle outright without having to worry about monthly payments and credit checks. There is nothing like getting behind the wheel of a newer vehicle for your summer road trip. Call Half Price Cars at (425)361-4466 for used cars in Edmonds! When you have a long commute to tackle on a regular basis, having the right vehicle will make all the difference in the world. Whether you are commuting to work or school, you need to make a decision on a good car that will get you where you need to go safely while also saving you money on fuel. 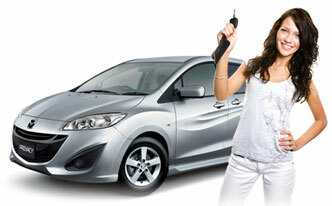 Shopping around for affordable cars in Shoreline will help you to settle on the right option for your needs and budget. If you happen to have a commute that is rather sizable, you will see that mileage plays a major role. Take the time to look at the available vehicles in your area and what they tend to average when it comes to mileage for both city and highway driving. Even if you find a car that is relatively cheap, it will defeat the purpose if you are spending more than you normally would on fuel. Of course, there is never any reason why you should not be thinking about comfort and driver-centric features when looking for affordable cars for a long commute. If you are going to be behind the wheel for quite a while, you want to have a comfortable ride and all of the elements that you need to make your driving time easier. Look for an affordable vehicle that comes with some of the features that you want, including things like a navigation system, a good infotainment set up, hands-free connectivity, and the ability to plug in your smartphone for charging, music connection, and more. Will you be having passengers with you for the commute? Will there be a need for ample cargo space for any gear that you need to pack up and take with you? Passenger space and cargo room are two of the other elements that you need to think about with an affordable commuter vehicle. Let our staff at Half Price Cars help you find the right vehicle to go with all of your special needs. We have a vast inventory of quality used cars for your long commute and we can help you to own your vehicle outright. You can count on our team at Half Price Cars to help you find your perfect vehicle match. Call us today at (425)361-4466 for affordable cars in Shoreline. If you have recently graduated, it is only natural that you are in need of a newer vehicle to take you into your next journey in life. Before the ink is even dry on the diploma, you can start to look for used cars at your local auto dealer in Seattle to find the right option for your budget and needs. Because there will more than likely be a good amount of student loan debt that you will have to begin repaying, finding an affordable used car is always a good choice. At the same time, you want to know that you have a vehicle that you love that will be safe, dependable, and a joy to drive. Instead of going with a brand-new car, you can find a wealth of options at a used car dealership that has a great reputation. If you happen to be a family member looking to treat the graduate in your life to a newer vehicle, you will find a range of deals at your local auto dealer. 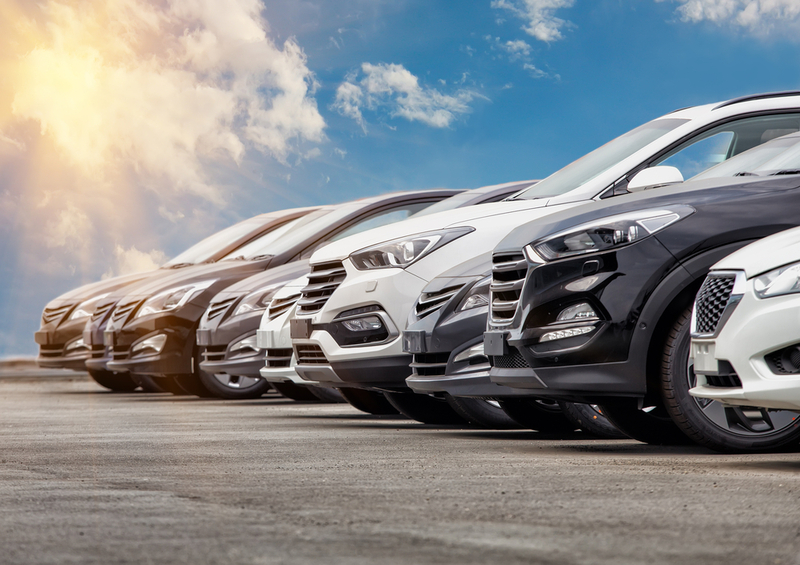 Whether you want to be sure that they have a compact car that is good on fuel or a nice SUV that offers versatility and driving confidence, your local car dealership can help you to make a good decision. This is a nice way to show your appreciation for all of the hard work and dedication that the graduate in your life has put into their education. When you work with Half Price Cars, you will find a great assortment of used vehicles at excellent prices that come with all of the nice features that you will find with many of the newest vehicles on the market today. 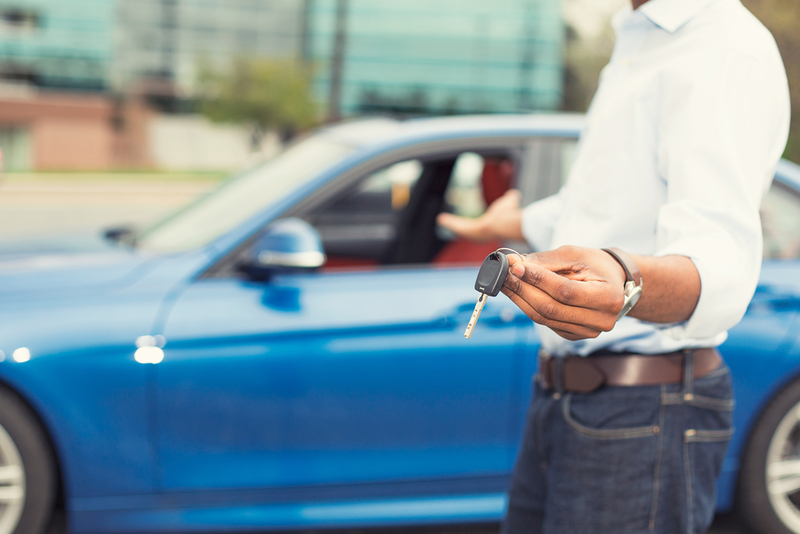 Our staff will talk with you about buying your vehicle outright while making sure that you are able to settle on the perfect option for your life after graduation. Half Price Cars, your local auto dealer in Seattle, wants to congratulate all of the graduates of the class of 2018! Call us today at (425)361-4466 for inventory information and pricing. Before you even set out to buy a used car, it is always going to serve you best if you take the time to prepare. 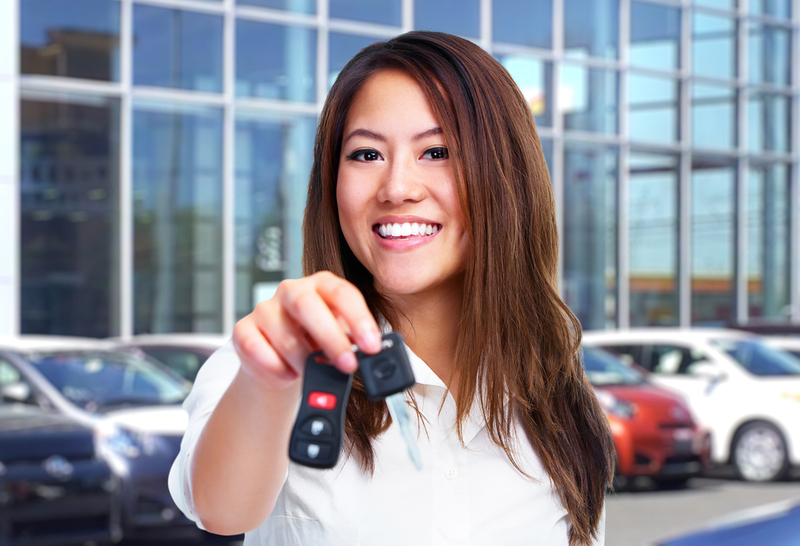 Whether you are looking for a newer vehicle to drive for the summer or you want to add another vehicle to your household, working with your used car dealer in Everett will help you to make sure you get exactly what you are hoping for. Do you know what make or model you are interested in test driving? Are you concerned about safety features and technology? Take into consideration your driving habits and what the vehicle will be used for when you make a selection. If you happen to have a very strict budget in mind, you should let your car salesman know ahead of time so that they can match you with some options in your price range. When you work with Half Price Cars, you can expect to have a well-rounded shopping experience. We are your local used car dealer in Everett and we do all that we can to ensure you are able to find the right vehicle and drive away with a price point that you can live with. Our staff makes it possible for you to own your vehicle outright without having to worry about the burden of regular monthly payments. All you have to do is come by to see us and we can get the process started. Something else that you can always expect when you work with us at Half Price Cars is quality. We take the time to go through each of the vehicles in our inventory to make sure that we are offering incredible stock for our customers to browse through. Each vehicle is fully inspected and we offer advice and guidance when shopping to help you know that you are making the right decision based on your needs and budget. When you call us at Half Price Cars at (425) 361-4466, we will be happy to go over our current inventory. It is our goal as your used car dealer in Everett to help you find the next newer vehicle of your dreams! Should You Be Shopping For Used Cars In Lynnwood? There can be a lot of stress put on you once you realize that you are in need of a newer vehicle. If you are looking for the best value overall, you might just find that used cars in Lynnwood will be the right option for you. After all, many personal finance experts will say that buying used instead of new is a smart choice. How can you tell if this is the best option for you? Depending on your age, you may have already had a used car or two in your life to date. It is not all that uncommon for a student to have a hand-me-down vehicle from their parents or an older sibling. However, when you find yourself in the real world and you have bills and other obligations, the idea of trying to buy a brand new car and taking on the associated payment may not be all that appealing. The good news is that you can save an incredible amount of money simply by shopping for a used car with the right dealership. If you are not looking for a regular monthly payment, talk with us at Half Price Cars so that we can go over your ability to own your next vehicle outright. We have the pricing and selection that you need to result in an incredible vehicle buying experience. All you need to do is come by for a test drive so that we can discuss your options and set you up to take a few models out for a test drive. If you are wondering if a used car is right with you, we invite you to stop by to see us at Half Price Cars. 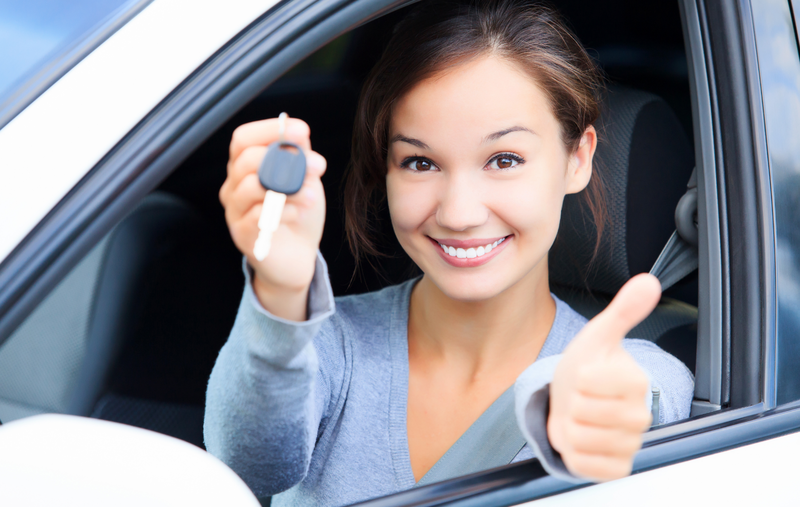 Call us today at (425) 361-4466 and we can talk with you about buying used cars in Lynnwood. When it comes to shopping for a used car, one consumer’s needs may be drastically different than another. If you are looking for affordable cars in Western Washington, you will see that having a checklist handy will help you to make sure that you get the most out of your shopping experience. Proper Research – Before you even visit the used car dealership, take your time to look at some of the makes and models that you are interested in. Once you narrow that down, you can educate yourself on customer reviews and common issues for that particular model so that you can go into the test drive informed. Exterior Checks – Walk around the vehicle and look to see if there is any rust, dents or scratches. Larger problem areas may be an indication that the vehicle has been through some major damage. While looking at the exterior, you should also be checking the condition of the tires, making sure there is enough tread and even wear and tear. Interior Checks – Upon opening the door for the test drive, smell the interior to make sure that there is no hint of mildew or mold, which could be an indication of flood or water damage. Check out the seats and make sure they are comfortable enough and that they are in good condition. Take extra time to look at the controls and instruments to see if the design is a layout you are comfortable with. Of course, the final step will be making sure that you pay attention to everything during the test drive itself. Feel how the vehicle handles upon acceleration, see how it acts when you brake, and take note of how it handles around corners. Throughout the buying process, you can trust in our staff at Half Price Cars to answer any of the questions you may have on the vehicle you are interested in. Call (425) 361-4466 to talk with our staff at Half Price Cars. We want to help you shop for affordable cars in Western Washington regardless of your driving personality, budget or needs. When you test drive a used car at your local auto dealer in Snohomish County, it is important that you have a good checklist to follow. Some people may think that going with a used car can be a bit of a gamble but you will see that being prepared with a checklist can make a world of difference. Taking your time for a thorough walk through of the vehicle and a detailed checklist for your test drive will help you to settle on the best option for your needs and your budget. Take a moment to look at the tires to see how much tread there is. Are the tires matched well for the type of vehicle and does it look like the wear is even? If you are able to see through the spokes on the wheels, take a look to see if the brake rotors are in good condition. Look around the vehicle to see if there is any rippling that could tell you there have been body repairs done in the past. Take a few minutes to open up each of the doors as well as the trunk. Every entrance point should open and close as smoothly as possible. Always check under the vehicle to make sure that there are no fluid leaks. This should be done while the engine is off as well as when the engine is running. When driving, make sure that you get the vehicle up to at least 60 mph or over to see if there are any front-end issues that may be looming. Are there any noises that you hear during acceleration that are odd. Does the transmission seem to shift in a smooth manner? Of course, you may have some other personal preferences that you are looking for when you test drive a used car. The good news is that our staff at Half Price Cars will be happy to show you our full inventory and walk you through the test drive process. Whether you are looking for a second vehicle or first car, we are there to make the shopping and buying as fun and memorable as possible. What are you looking for when you test drive a used car at your local auto dealer in Snohomish County? Call Half Price Cars today at (425) 361-4466 for information on our inventory. Growing your family is something that will change your life in a number of ways, including what you will be driving for a vehicle. When you have a growing family that you need to get from one point to another each day, you need to take some time to find the right vehicle for the task. Working closely with your used car dealer in Bellevue will give you all of the insight you need for a successful vehicle selection to measure up to your automotive needs. 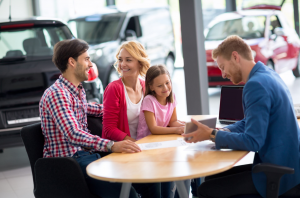 When you have a busy family on the go, there are a number of considerations that you need to think of when selecting a vehicle. Not only will you have to think about having enough passenger space but your amount of cargo room will also play a major role. Of course, you never want to overlook safety technology as well as special features that help to make road trips even easier. If you are a family that has smaller children, you need to think about how the car seats and booster seats are going to fit into the equation. Easy access, child safety, and cargo space will be three major things to keep in mind as you shop for another vehicle. Not only do you have to have the right latching mechanism in place for the car seat but you also have to have easy access to get your child in and out as well as enough clearance if you have a toddler seat with a top lift feature. When you visit our friendly team of automotive experts at Half Price Cars, we can talk with you about all of the best options for family vehicles that we have in our inventory. We can go over all of the features that you are hoping to find as well as the various safety tech options that you can pick from. Once you have settled on a vehicle we can then discuss your ability to buy your vehicle to own it outright instead of having to think about a major loan. Whenever you find yourself in need of a new family vehicle, you can look to Half Price Cars to help. Call us today at (425)361-4466 to learn why we are your answer in a used car dealer in Bellevue. Some people may look to car travel as a way to simply get from one point to another. However, when you have a family and you are looking for adventure, there are many ways that you can turn a road trip into a world of memories. 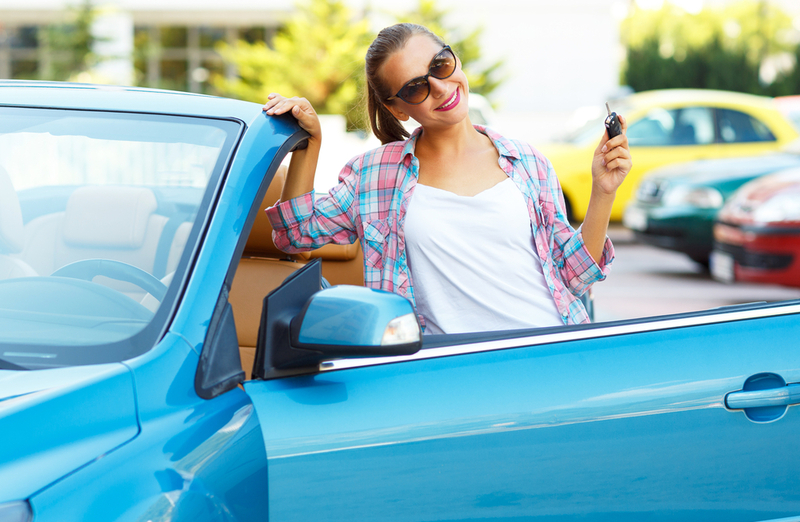 If you have some summer road trips planned out for your family, shopping for quality used cars in Marysville will help you to have the affordable transportation you are looking for. If your kids are old enough to make some suggestions, always think about asking if there are any sights they would like to see along your travel route. There can be some fun stops available for just about any kind of road trip where you can spend some time to relax, grab a bite to eat, and recharge. When you have a smaller used car that you are taking on your trip, this is also the perfect time to stretch your legs. When you are traveling with kids, the last thing that you want to have is a mess on your hands to clean up each time they ask for snacks. Pack dry snacks like crackers, carrot sticks or granola that is easy for little hands to grab without making a wet or sticky mess. In addition to the snacks, having a mess-free beverage such as a squeeze water bottle or fruit smoothie pouch that can be re-sealed is a great way to go. Not only will you need to be sure that your new to you vehicle is cleaned out to be packed up just right, you should also do a double check of your oil levels, fuel, belts, hoses, fluid levels, and tire pressure. These are all things that will give you added peace of mind when you hit the roads that you will be able to have a great family adventure without having to stop to have something fixed. Half Price Cars is available to help you pick out the perfect vehicle to buy for your next family road trip this summer. Whether you are looking for a car, minivan or SUV, we have the inventory you need at a great price to fit in with your needs and your budget! No matter the size of your family or where you have road trips planned, Half Price Cars has the selection of used cars in Marysville you are looking for. Call us today at (425) 361-4466 for more information.